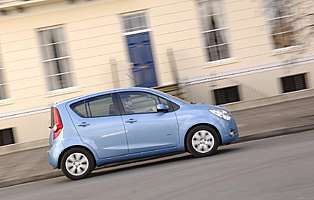 From the boxes on wheels from only a few years ago, the city car sector has matured into a range offering decent levels of refinement and performance. 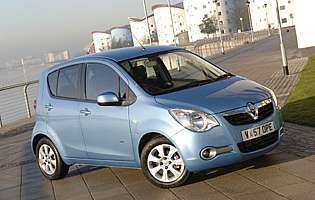 Nowhere is this more obvious than with Vauxhall's Agila. Once nothing more than a box on wheels itself, this Agila is more rounded and modern in appearance. It wouldn't be fair to credit Vauxhall with all the good work regarding the Agila. 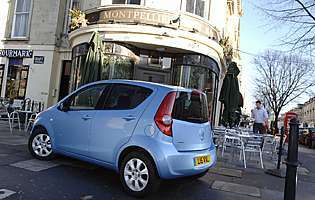 If it and Suzuki's Splash look similar, it's because they are essentially one and the same car. This is not an usual arrangement, as the same was true of the previous generation Agila. While the previous car was upright and boxy, this car is still upright but more curvaceous. As a result the Agila now looks more mature and sophisticated. That's certainly the image Vauxhall would like you to buy into, so in this case the work done hasn't been in vain. 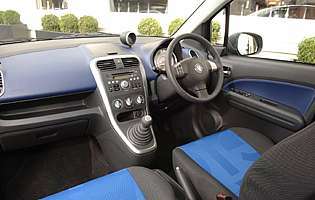 The car's interior can't quite match the sophisticated and glossy-looking exterior for the simple fact that it's Suzuki's handiwork. Although not a direct criticism, the previous generation's budget-conscious origins are still present. In fact, the layout and materials used are pretty good - everything is logically placed and easy to use - but if you're used to a Corsa or Astra you'll notice the difference. Minor gripe aside, the Agila is a capable car. Ride comfort is good, refinement very good and the three engines more than adequate. The 1.0-litre petrol and 1.3-litre diesel are rated at the magic 120g/km for CO2 emissions, and the former boasts enough power for all but the longest of motorway journeys - the 1.3 diesel is your friend for regular out of town excursions. The combination of cheerful, youthful styling plus a spacious interior and competent engines affords this generation of Agila a level of desirability that was lacking in the old car. Yes the Suzuki influence is instantly visible inside, but it would be wrong to be too harsh. Both cars are strong performers, and the final decision might boil down to which dealer is the nearest. If it's got a griffin sign above the door, you won't regret buying the Agila.